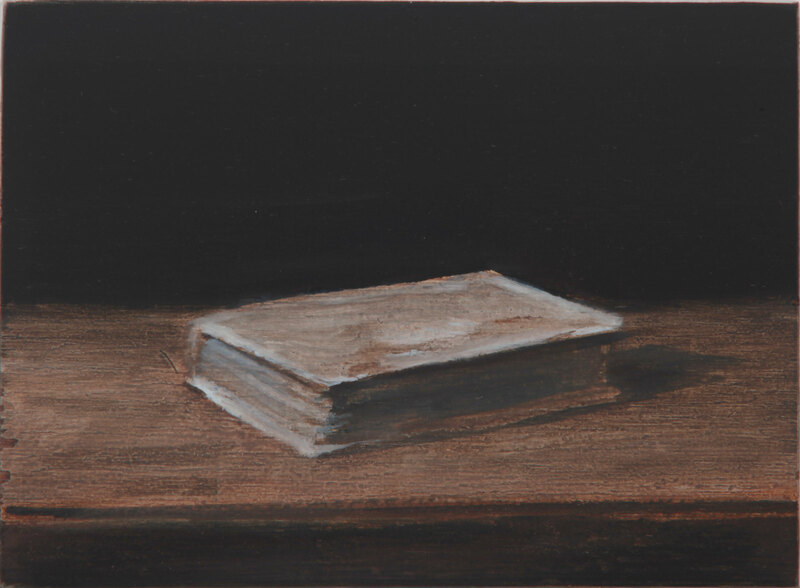 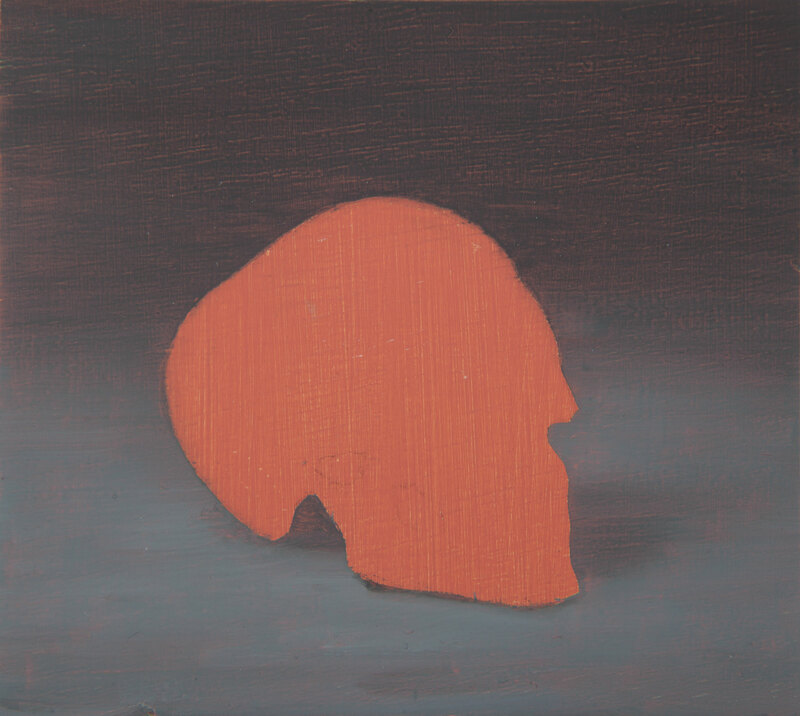 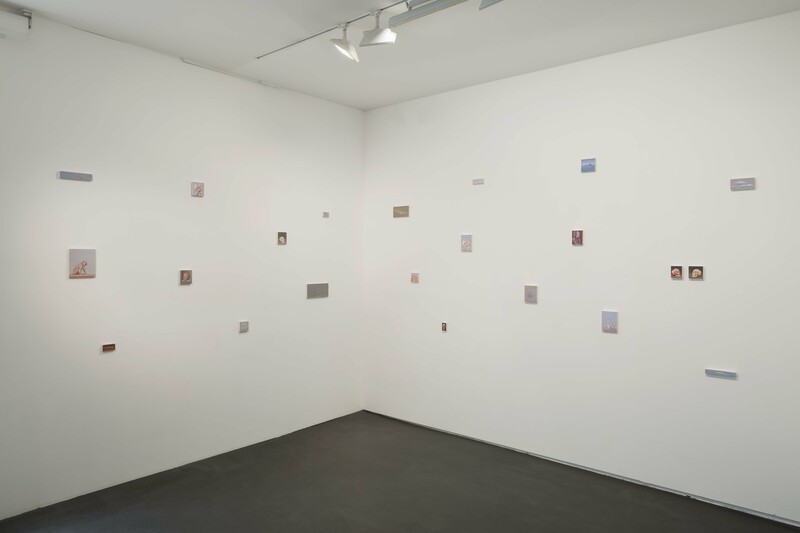 SPECTRES is the title of Miguel Branco’s second individual show at the gallery. 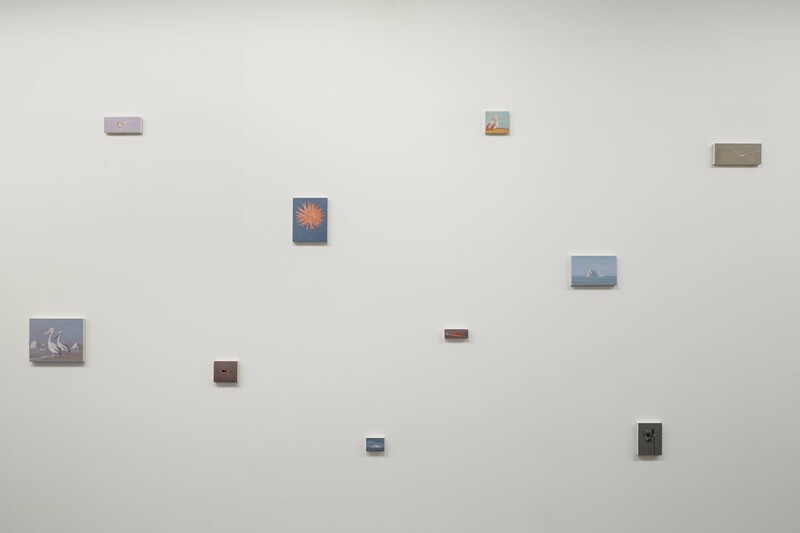 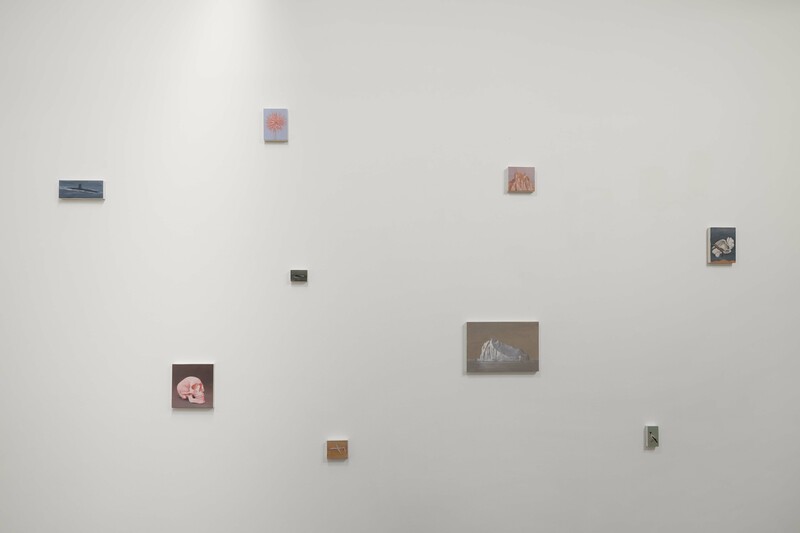 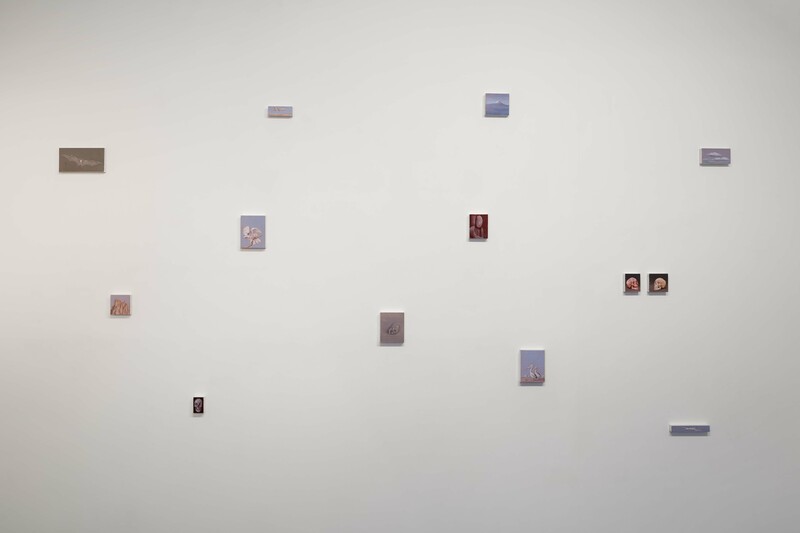 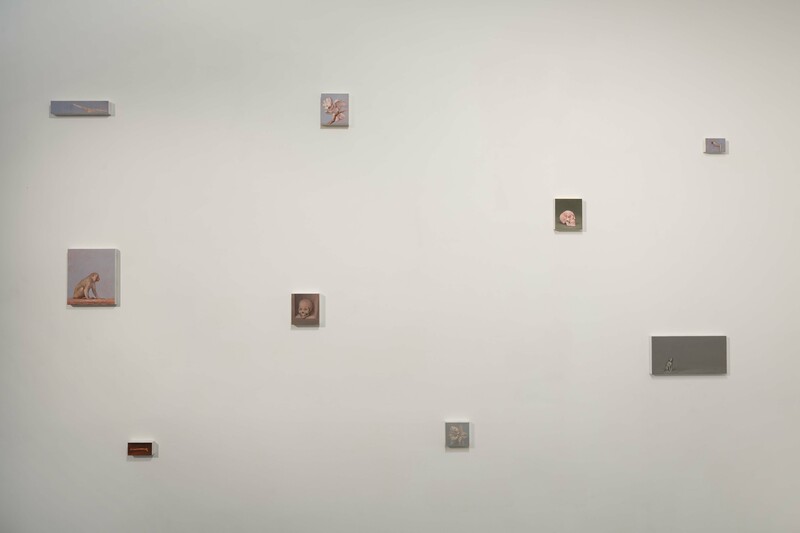 In the exhibition, we see the walls of the gallery punctuated by a series of small paintings, resembling pixels on a blank screen. 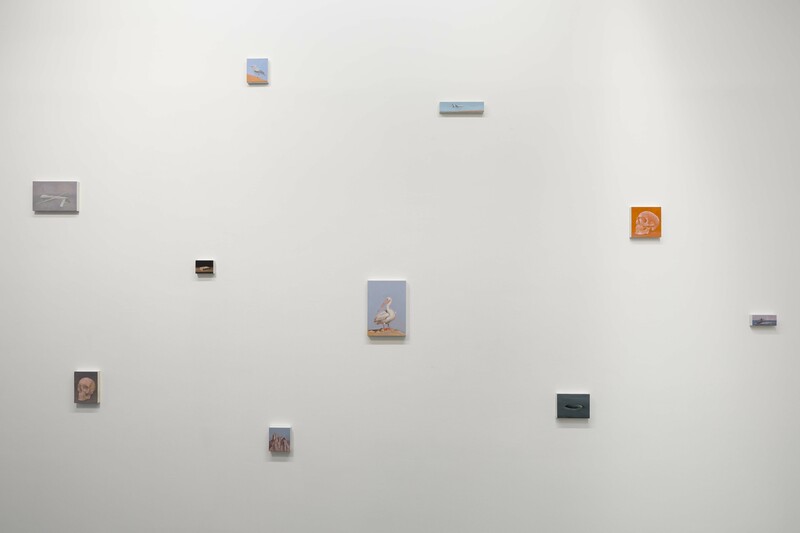 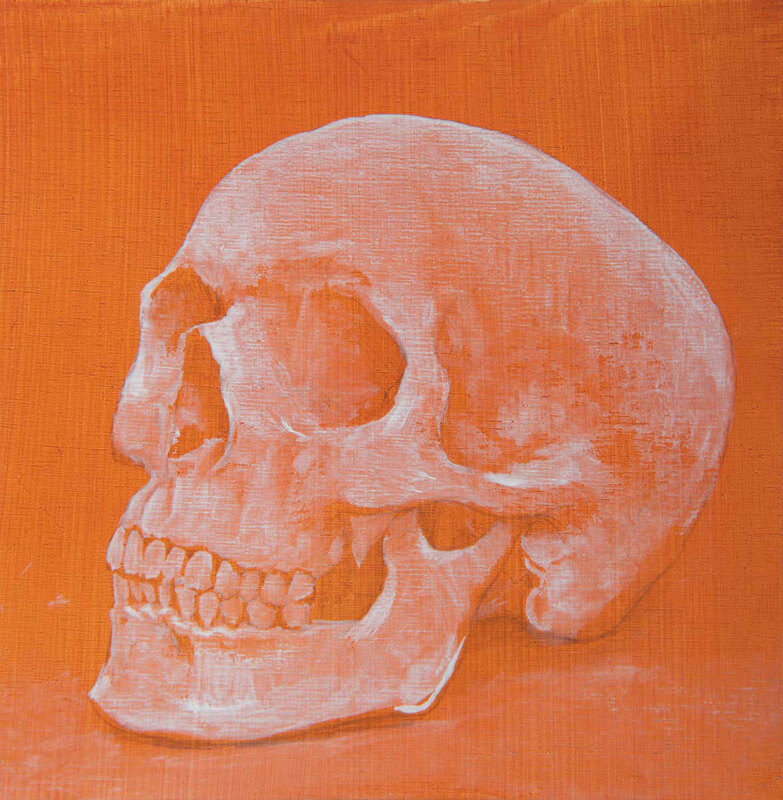 Images of birds, skulls and drones (the subtitle of the show), referring to each of three main groups of images — birds standing for nature, skulls for culture and drones for technology. 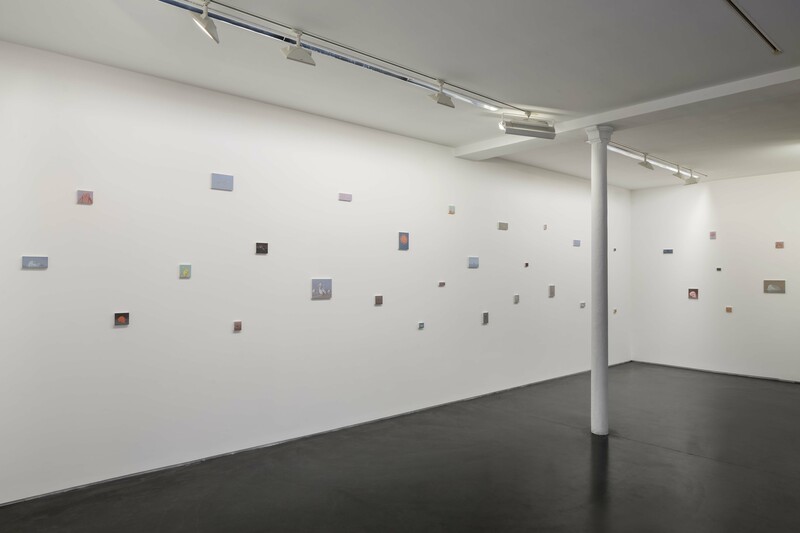 These images, which are discreet and contemplative, seem nevertheless to silently haunt us like some kind of spectres: surveillance cameras, drones and icebergs that float on still blue waters, have strangely become symbols of our present condition. 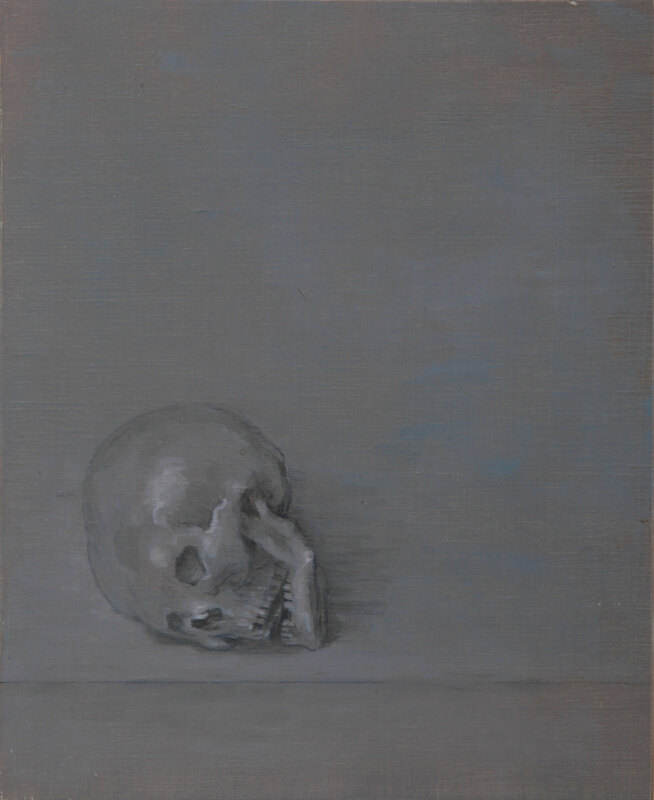 The ‘classical’ way in which these images are painted, create a subtle tension in their immediate perception: on the one hand they tell us about our immediate present, on the other they seem — already — to belong to a distant past. 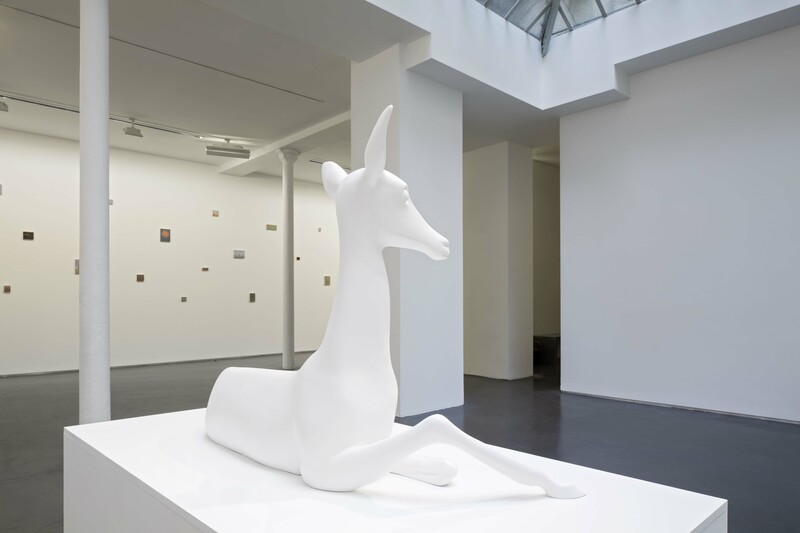 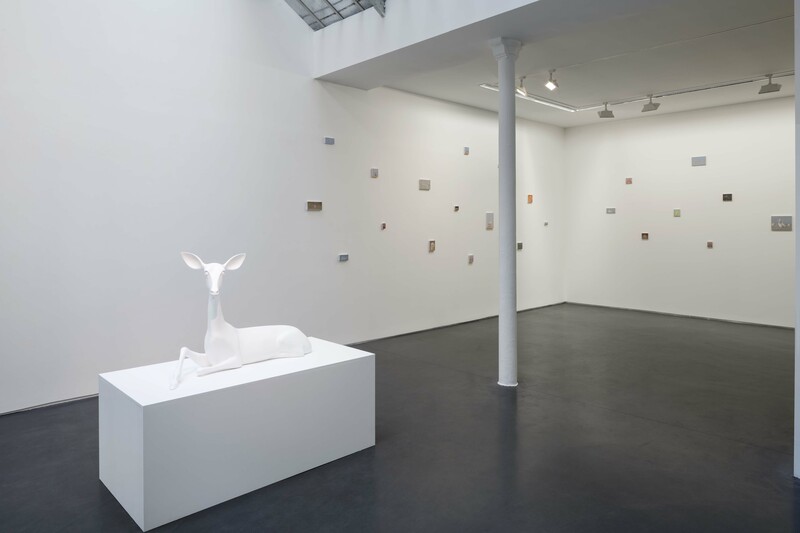 Spectres is linked to Miguel Branco’s simultaneous individual exhibition at Musée de la Chasse et de la Nature, “Black Deer (Resonances, Enlèvements, Interferences)”. 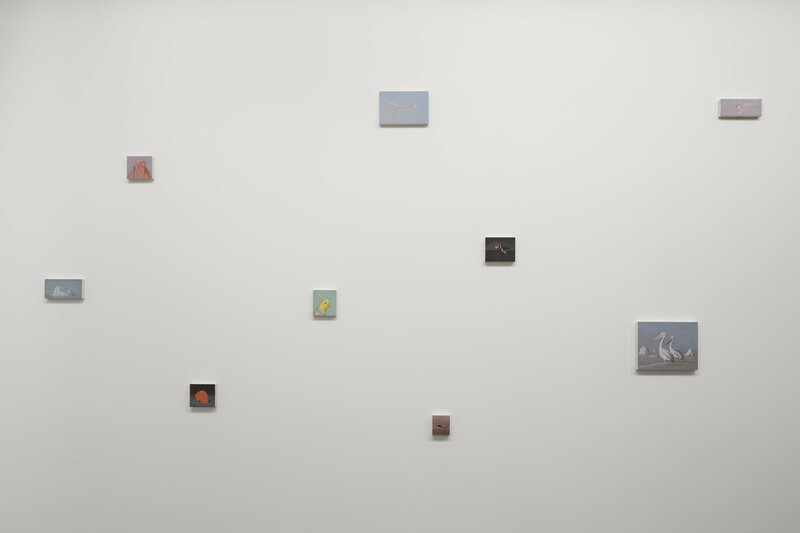 The works presented in this show develop multiple connections with the pieces of the museum collection. 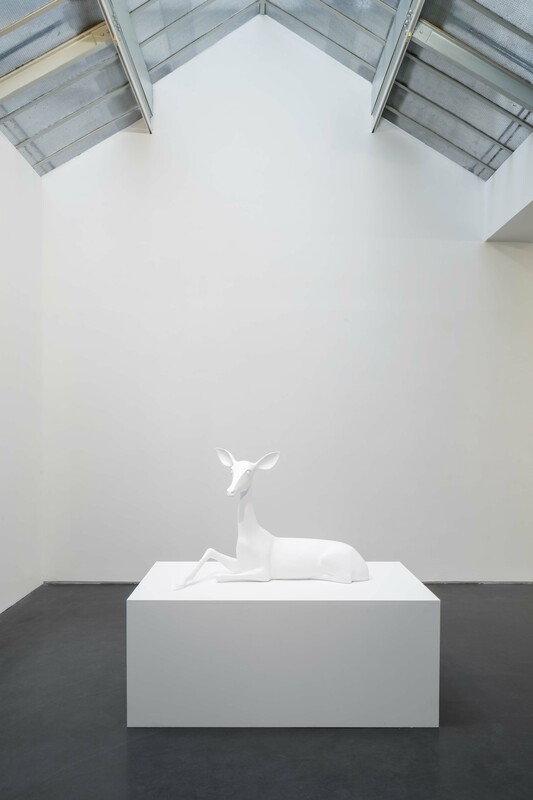 * Extracts of Bernardo Pinto de Almeida’s text published on “The Silence of Animals”, Schloss Ambras, Innsbruck, Kunsthistorisches Museum, Austria, 2015.